Where is The Train Station Restaurant located? 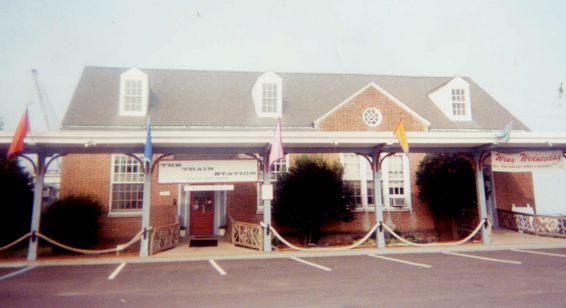 The Train Station is located at 2295 Harbor Road in downtown Newport News. Nestled in a small inlet of the James River, the restaurant has a spacious deck which sits on the waterway and provides a spectacular view of the river and its surrounding recreational and industrial activities. What days are the Train Station Restaurant open ? The restaurant is open on Sunday, Tuesday and Friday . On Sunday afternoons the "All-You-Can-Eat" Buffet is offered. On Tuesday nights there is "C.I.P.H.E.R. Tuesdays", an "open mic" session where artists and performers can show off their talents. There is a Live Jazz Band every Friday Night; call for reservations. Saturdays are reserved for ﻿Catered Events﻿, however, "On-site" or "Off-site" functions may be scheduled any available day or time for your convenience. Can I catch an Amtrak train from the restaurant ? Sorry, No Amtrak trains at the restaurant. The Train Station was closed to actual rail service in 1981, before it was renovated into a restaurant. For current passenger rail service visit Amtrak.com. Who is the owner of the Train Station Restaurant ?